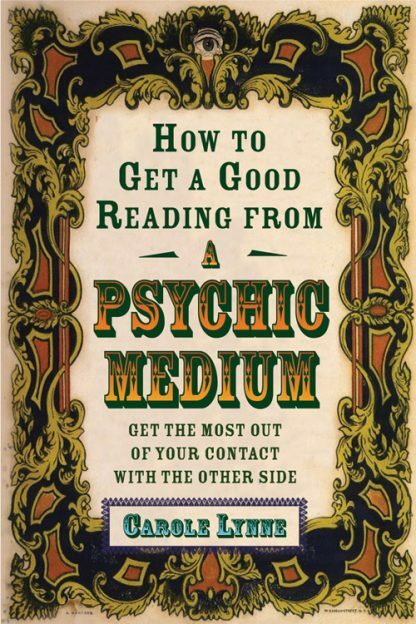 How to Get a Good Reading from a Psychic Medium was born from Carole Lynne's desire to help her own potential clients, plus the thousands of people interested in contacting those who have gone to live in the world of spirit, know what to expect from a reading with a medium. For the grieving, the curious, the skeptical but desperate, Lynne offers straightforward, plain talk about what mediums can and can't do, and how to prepare to get the most out of an encounter with the world of spirit. Chapters on "The great and not such great reasons to see a medium," "Where to find a good medium," and "How long is a reading and what does it cost" explain the very practical elements of dealing with a spirit communicator. "This is not a scientific book," writes Lynne. "I'm not going to try to prove anything to you." But she does dispense invaluable advice about getting the most out of working with a medium. What questions should you ask? When should you listen? When should you talk? What can you do with the information you get? Answers to all these questions, and so many more. There is no other place where readers will find such useful advice about how to evaluate a reading and what to do with the evidence and advice they might receive. Unlike many, Lynne doesn't set herself up as a guru and advises against treating any reading from any medium that way. Her wise counsel: Trust yourself. You are the one who knows best what this reading means in your life.